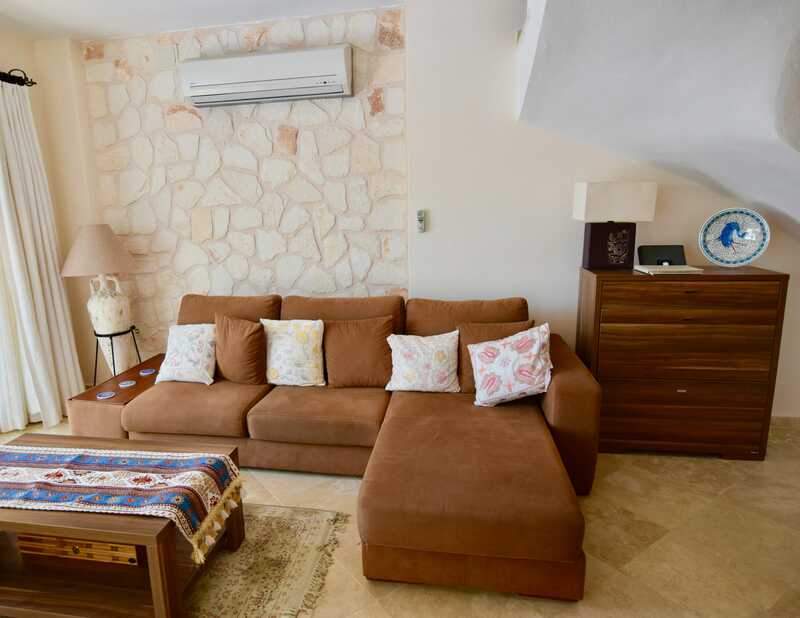 Apartment Leylek is a superb 2 bedroomed duplex apartment on the ground and first floors, at the corner of the development. 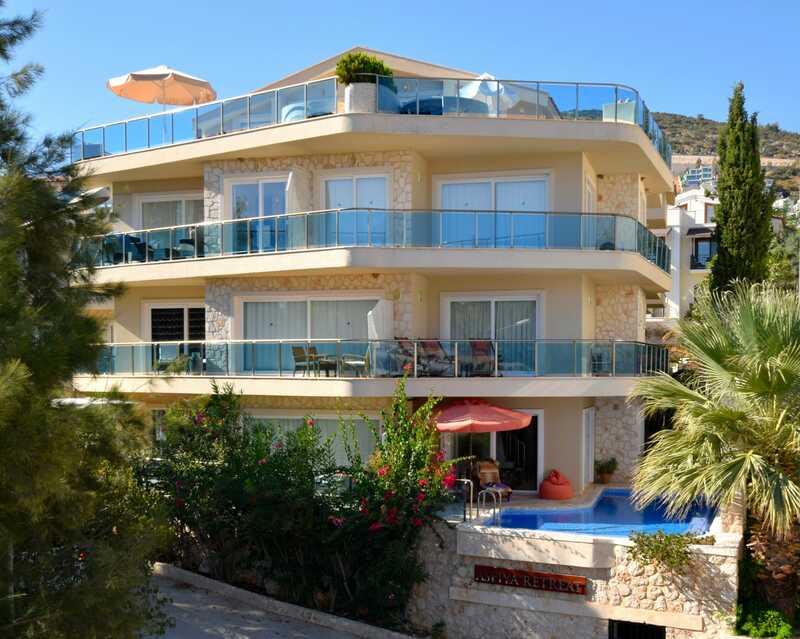 It has its own private sun terrace and swimming pool with limited views of Kalkan harbour, but it also has use of the communal terraces and swimming pool of Asfiya Retreat. 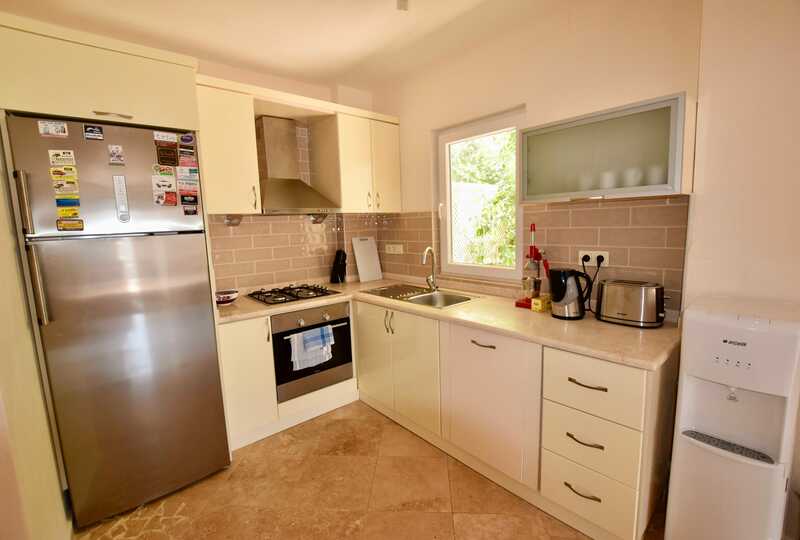 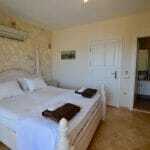 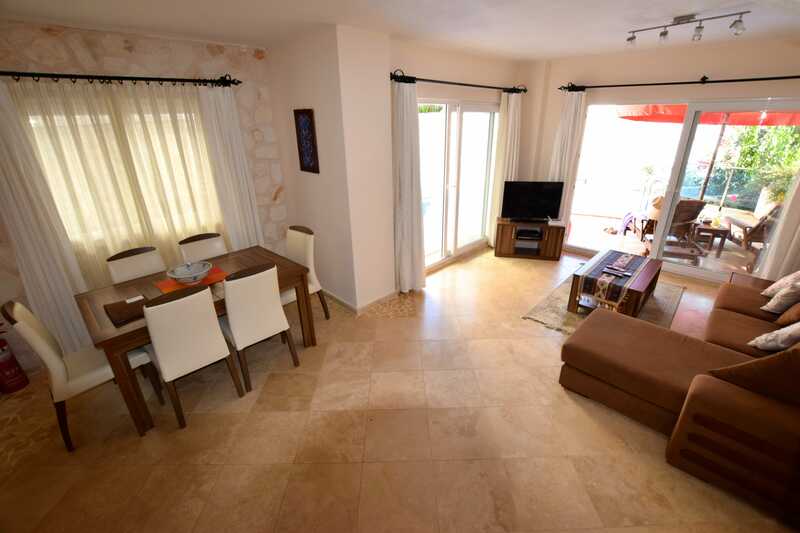 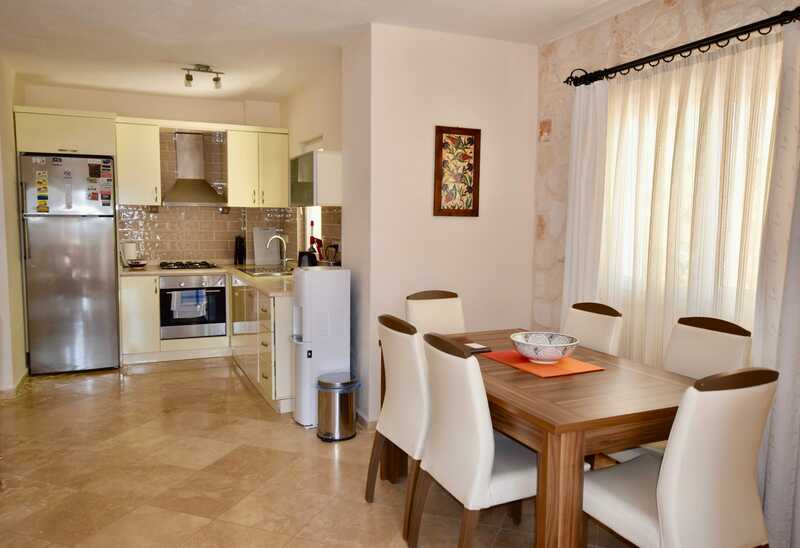 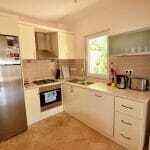 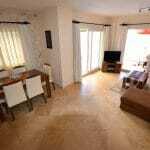 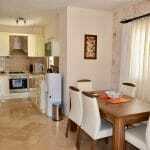 The apartment is spacious and has been furnished to a high standard throughout. 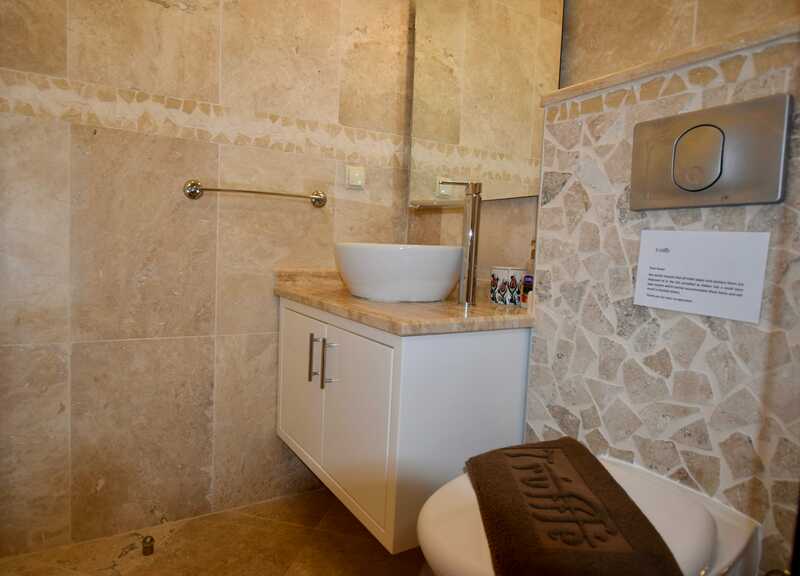 With a number of finishing touches that give it individuality and charm. 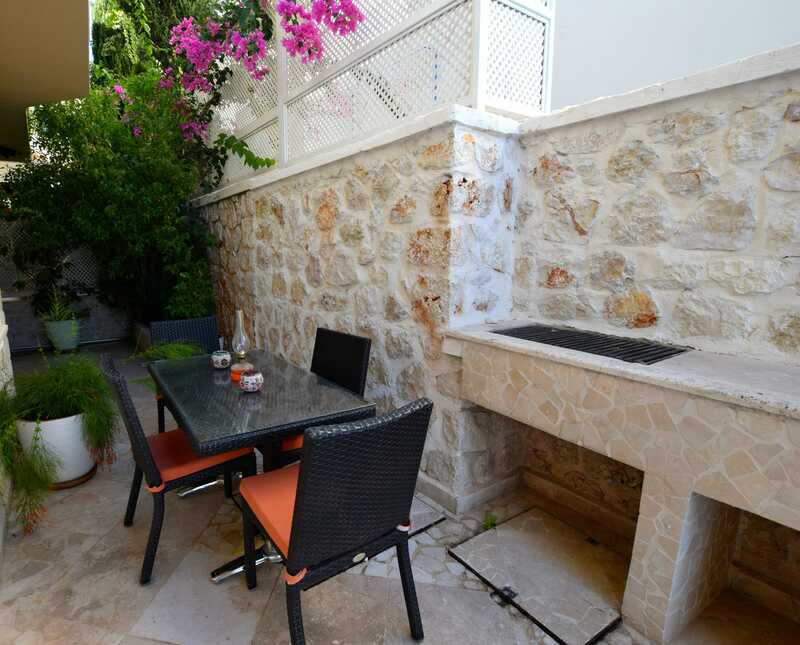 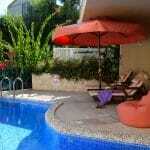 The apartment has a private outside dining area and BBQ, with its own loungers with parasol. 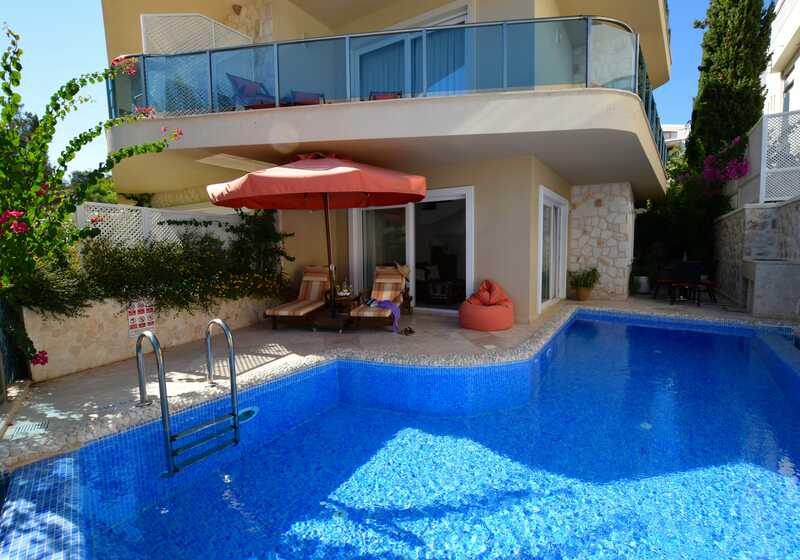 Access to the private pool is by way of a stepped pool ladder and is 1.15m deep. 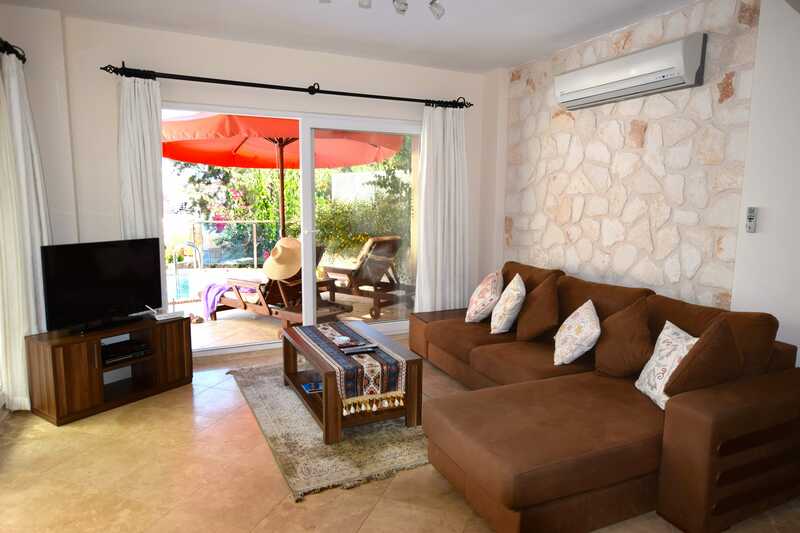 On the ground floor, with patio door access to the sun terrace and pool, is an open plan fully fitted modern kitchen (including fridge/freezer, hob, oven, microwave and dishwasher), a dining area for up to 6 guests and lounge area. 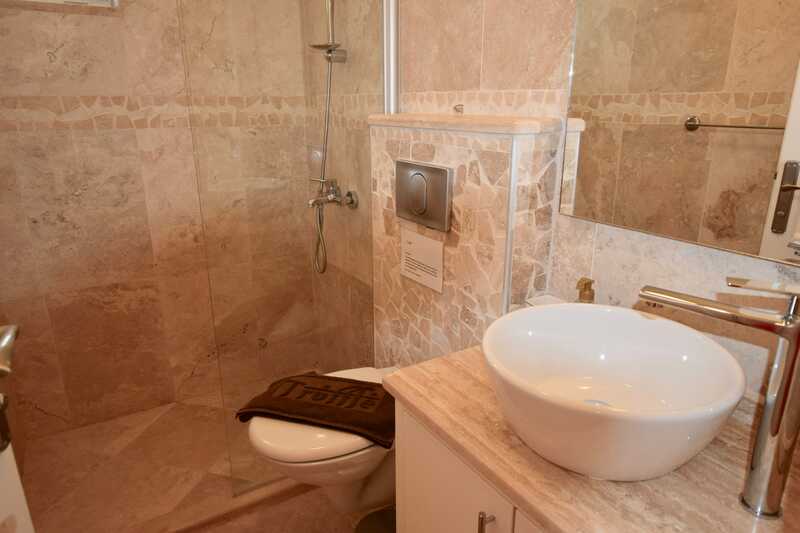 There is a separate downstairs cloakroom. 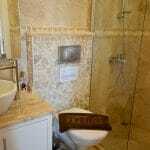 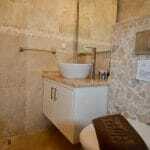 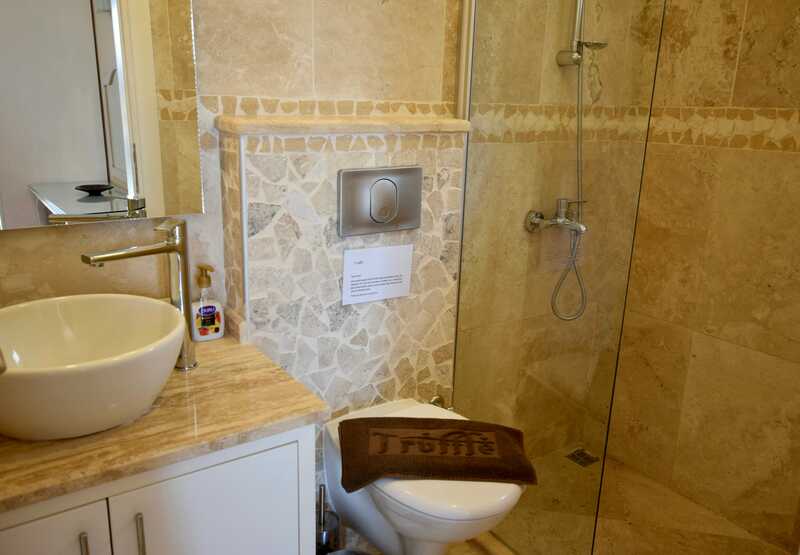 Upstairs there are 2 bedrooms, both with en-suite bathrooms. 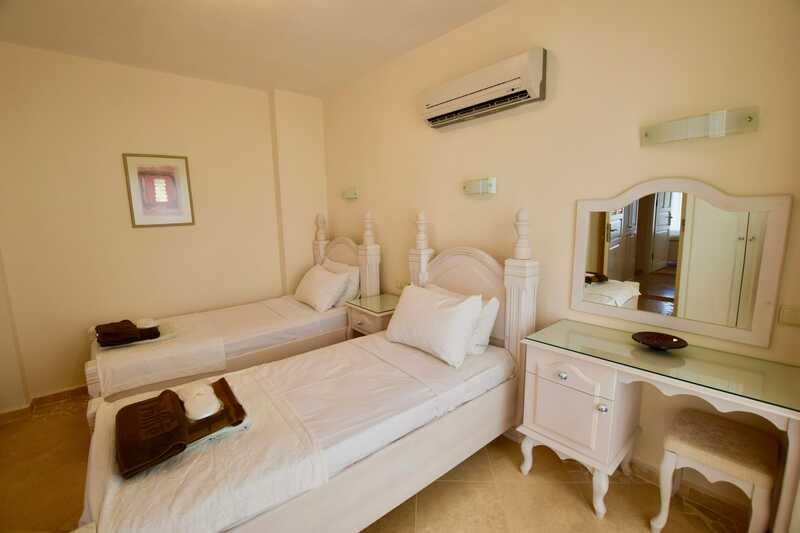 The master bedroom has a king sized bed and the second bedroom has twin single beds. 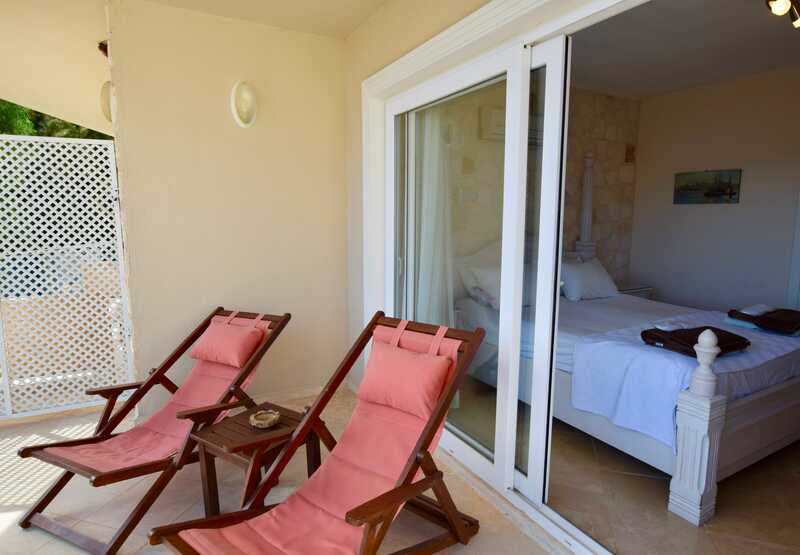 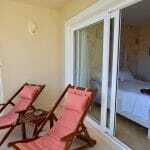 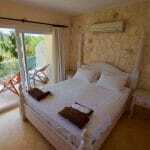 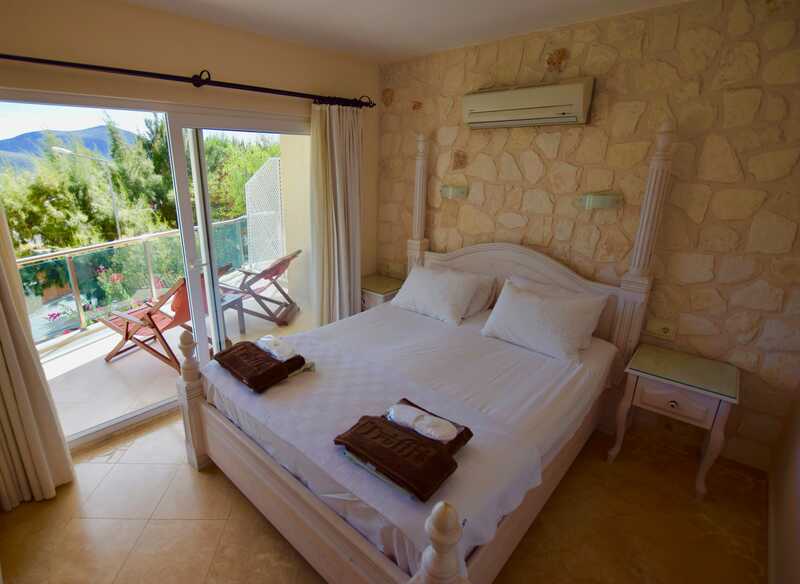 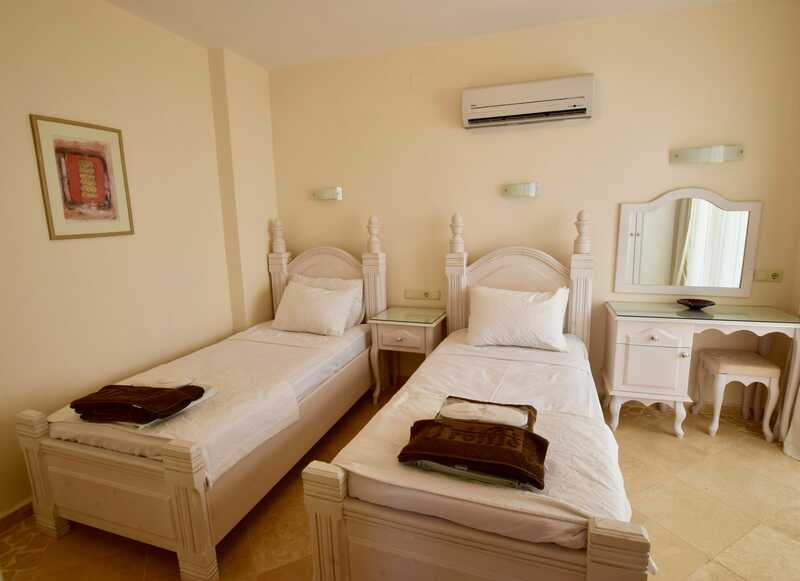 Both bedrooms have balconies with limited sea views of Kalkan bay, perfect for relaxing holiday bliss. 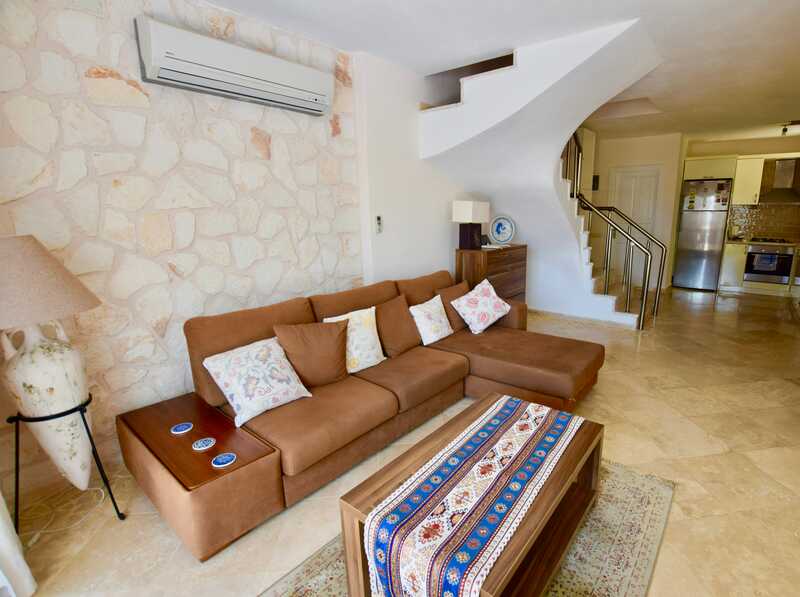 On the landing recess there is a washing machine. 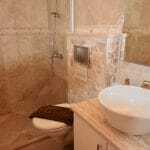 Other facilities in the apartment include safety deposit box, satellite TV, DVD player, iPod player, WiFi internet access and hairdryers. 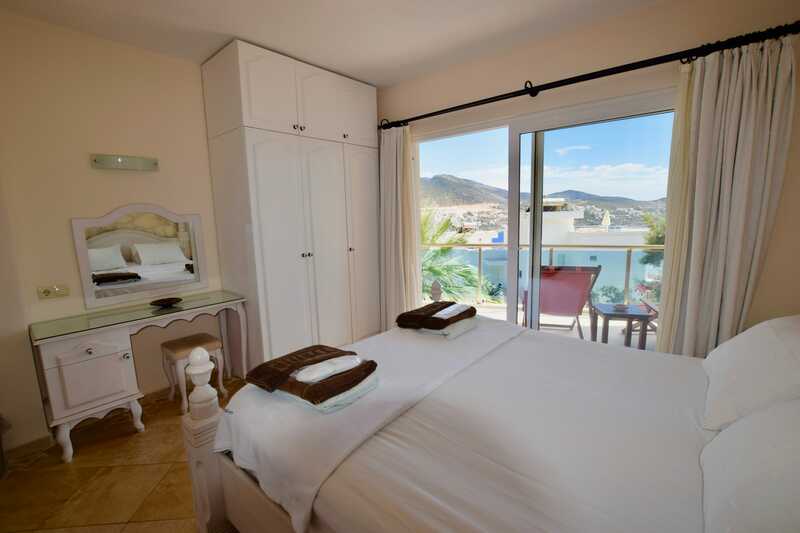 A Nespresso coffee machine is provided with 10 complimentary coffee capsules per booking. 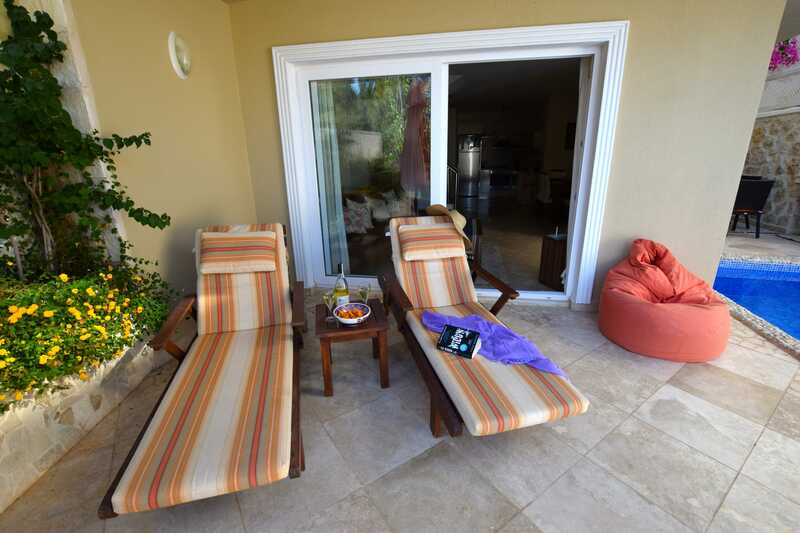 Towels and beach towels are provided.